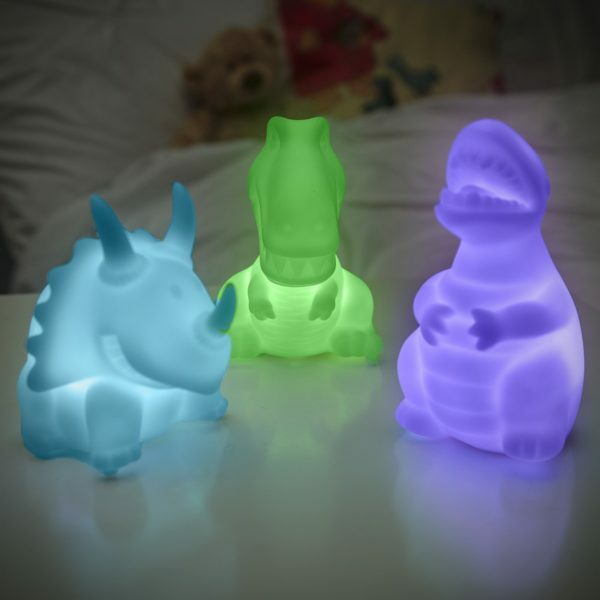 Pack of three light-up dinosaurs that change colour as they glow. The set includes a t-rex, triceratops and an allosaurus, all of them with cute cartoon-like features. Just flick the switch on the base of each dinosaur and their white exterior will illuminate, starting with red before gradually phasing through a range of greens, blues and purples. 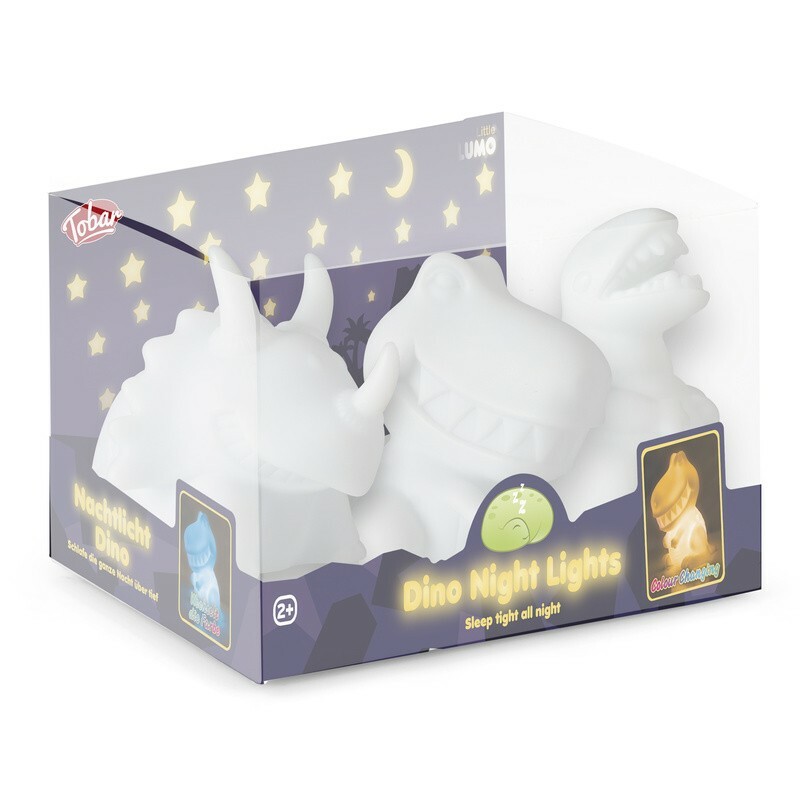 They make a fantastic set of alternative night lights and as you get three in a pack, can be placed in several locations around a room. Batteries included. Tallest dinosaur 10cm.